Since you've been accepted to Walsh University, you're probably wondering where to go from here. Please feel free to reach out to your admission counselor for any questions along the way. If you have already deposited to Walsh – great! If not, the next step is to tell your admission counselor and pay your deposit. By making your deposit early, you'll be among the first students to access the online housing application, orientation registration and more. You'll also want to save the date (March 30, 2019) for Future Cavalier Day, a welcome event exclusively for accepted incoming freshmen and their families. Don't forget to join the Walsh University Class of 2023 Facebook group! It's a great opportunity to meet your classmates and have your questions answered as you prepare to join the Walsh community! We understand that choosing a college is a big decision. Every student has different variables that impact their choice. Things like academic programs, athletics, financial aid and campus life all play a role in deciding which school will become your home for the next four years. So how can we help you determine if Walsh is the right fit? Visit Campus. If you haven't already visited campus in person, we highly encourage you to schedule a tour. A personal visit is the best way to get a feel for the Walsh campus. Once you arrive, you'll have the opportunity to see inside dorm rooms, visit classes, talk to current students, and meet with your admissions counselor. Talk with Your Admission Counselor. Our counselors are here to answer all your questions. 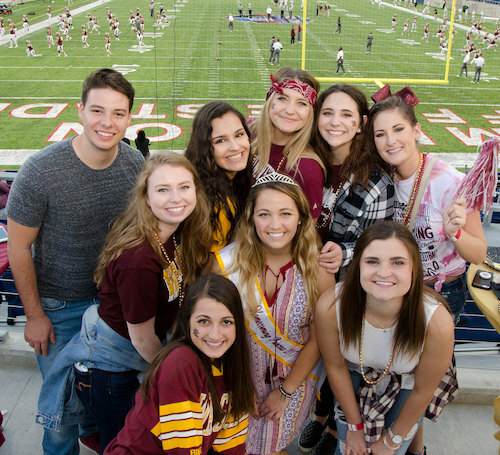 They're experienced in the college admission process, and many of them are Walsh alumni so they can relate to how you're feeling and give you the best insider tips. Financial Aid. Don't let the "sticker price" of tuition scare you. At Walsh 98% of students receive financial aid, and our staff can assist in determining how you may qualify for the numerous scholarships, grants and other available aid.